Conference time again! – Always exciting. inqaba biotec™ attended the 2018 SASBMB-FASBMB conference held at North-West University (NWU) in Potchefstroom this week (8-11 July 2018). 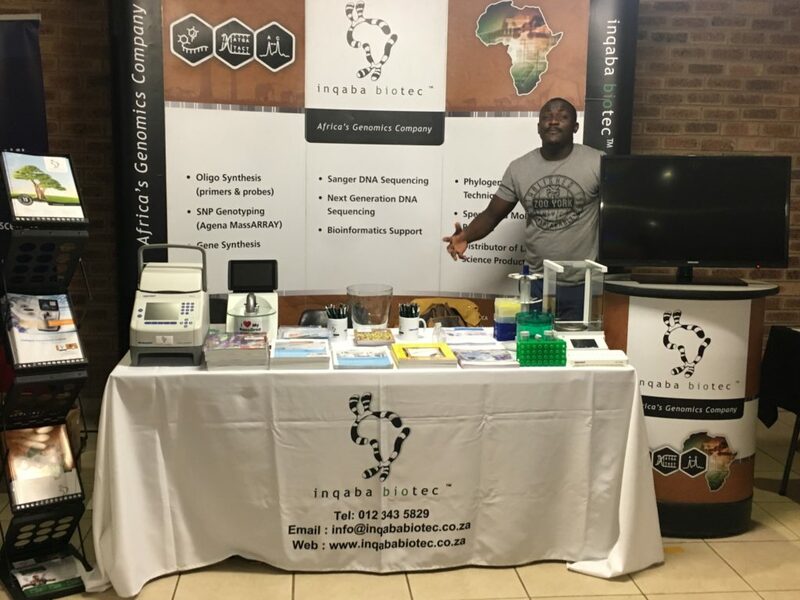 The South African Society of Biochemistry and Molecular Biology (SASBMB) aims to promote the development of Biochemistry and Molecular Biology in South Africa. SASBMB hosted this conference in conjunction with the Federation of African Societies of Biochemistry and Molecular Biology (FASBMB), whose objective is to engage and connect biochemists and molecular biologists in Africa. The conference was a complete success boasting a diverse programme covering topics from systems biology, structural biology, non-communicable disease, infectious disease, drug discovery, plant biology, medicinal plants, immunity, the omics and biotechnology. A-listed researchers were invited as plenary speakers from all the different branches of molecular biology. The conference was kicked off by Prof Jeremy Nicholson, HOP of Surgery, Cancer and Interventional Medicine (Imperial College London) with his talk on “Systems medicine and molecular phenotyping approaches to problems in precision medicine and public healthcare”. The conference covered such topics as high risk diseases of global importance (Tuberculosis, HIV, HBV, malaria and cancers), latest progress in drug discovery, threats to food safety and their possible solutions, unravelling the secrets to supreme athletes, and the beneficial effects of antioxidants on inheritable metabolic and neurodegenerative disease to mention a few. The 2018 SASBMB-FASBMB conference provided the perfect platform to showcase our extensive portfolio that is currently employed by many of our customers who attended and presented at the conference. It also provided us the opportunity to challenge our well-deserved customers to a game of “How well do you pipette”. We want to thank all our customers for venturing to our stall and partaking in an Eppendorf pipetting competition. 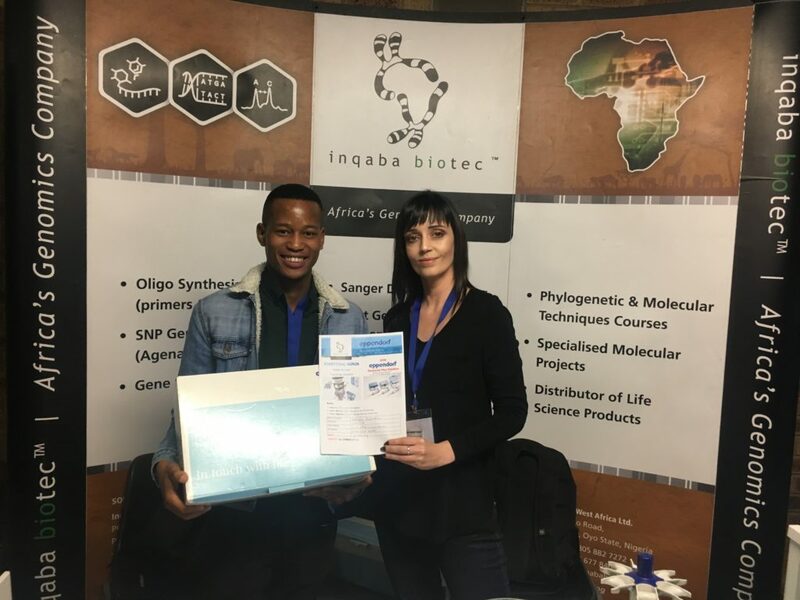 Congratulations to Sibusiso Malindisa for winning a full set of Eppendorf’s Research plus pipettes!